. يعرف Accor Hotels بالمستوى الراقي لخدماته ولباقة موظفيه، وهذا ما ستجده في إيبيس بادجت، شرق سيدني. يقدم الفندق خدمة التنظيف يوميًا, مجهز لذوي الإحتياجات الخاصة, مكتب الاستقبال على مدار الساعة, مرافق مخصصة لذوي الاحتياجات الخاصة, تخزين الأمتعة لضمان الراحة القصوى لضيوفه. يمكن للنزلاء الاختيار من ضمن مجموعة من الغرف المصممة بعناية لتعكس جواً من الراحة، والتي يتجاوز عددها 115. كما أن مجموعة الخدمات الواسعة الموجودة في الفندق لضمان راحتك تترك لك الكثير من الخيارات لقضاء وقتك أثناء فترة إقامتك. إن إيبيس بادجت، شرق سيدني هو خيار ذكي بالنسبة للمسافرين إلى سيدني، بما يوفره من إقامة هادئة ومرحة. the room is clean but kinda small for four people with big luggages. the bathroom is clean, the staff are friendly. you need to use the premier lane which is their main entrance instead of using william street as your main entrance if you have heavy lugguages because it will be quiet a climb with stairs. the big bus tour stop is about 5-7 mins. walk depending on your pace. The location is fantastic as its just at the outskirts of Sydney CBD, we could comfortably walk to the Rocks and Darling Harbour. Off street parking was easier then I expected as well. Room is clean, modern & comfirtsble. However the air conditioner tripped twice in the night, disrupting our sleep. Front desk guy was exceptional (does he ever sleep??) as he had juggled between manning the desk, answering queries to coming up to reset the circuits and still look as fresh in the morning when we looked like zombies having our sleep disturbed. 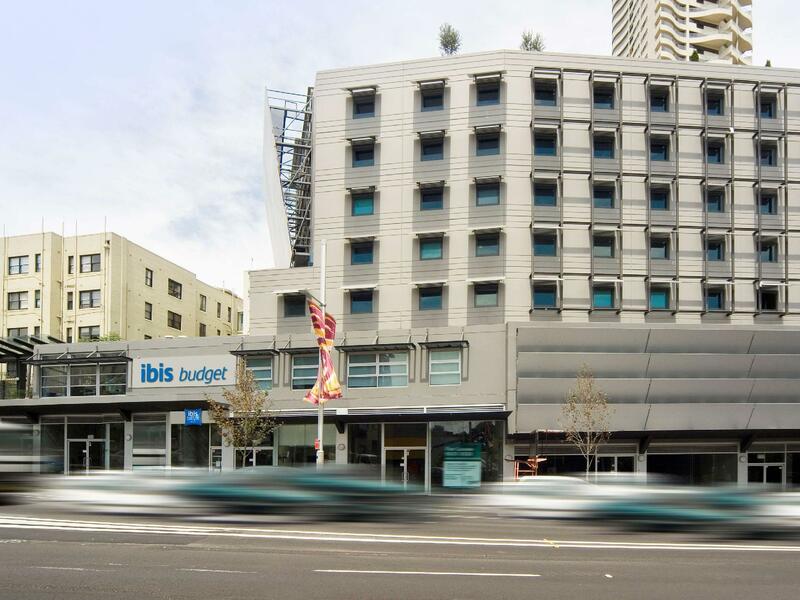 Seriously for such an established hotel chain like ibis, they should beef up their night staff. I will still recommend this hotel for travellers who just need a place to crash that is near to the CBD. Quiet area, I can see the Opera House from my hotel window but you still have to take transport to get there, it’s not walking distance. Near metro station Town Hall, only two stops to Darling Harbour. Hospitality is good, they let us early check-in. We stay here regularly, several times a year, for a couple of weeks or so each time. It is a well run establishment that is nicely kept. Beds are comfortable, bathrooms are clean and functional, with rather nice towels. 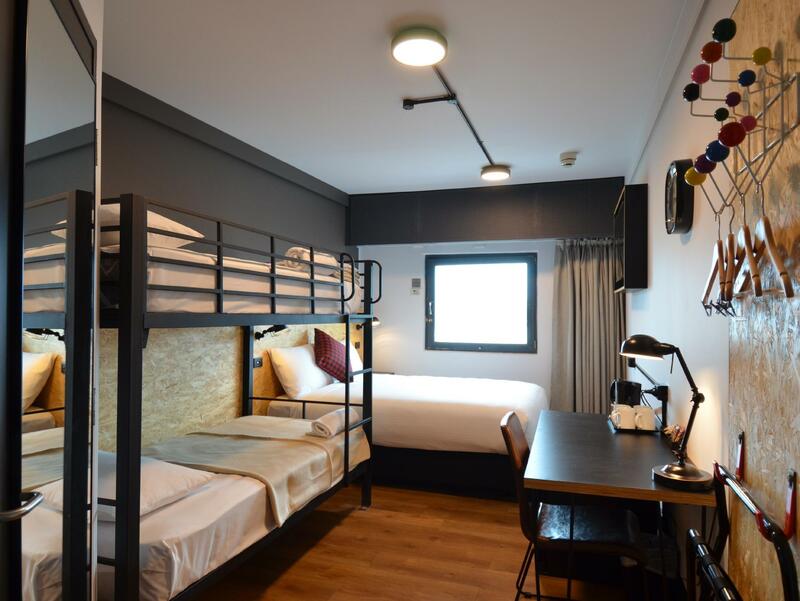 Rooms are fitted with reverse cycle air conditioners, and with refrigerator and television; kettles and hair dryers are available, together with complimentary tea and coffee makings. Breakfast is reasonably priced. Staff are very helpful and competent. We appreciate the comfort convenience and security that this establishment provides, and always look forward to our next stay. This place may be budget, but it most certainly is not low class: it is a very decent place. The only reason we booked this place is because its very near to our car rental drop off place, having few luggages to carry with 2 kids. Staff was very kind to attend to our needs from the beginning but rooms not satisfying enough. Floor felt like we were staying near the beach, always sandy and the most dissapointing was the wide shower head but water was extremely slow! Convenient location and just what we needed. Cleaning of things such as the kettle for example, could have been a bit better and fridge did not work. 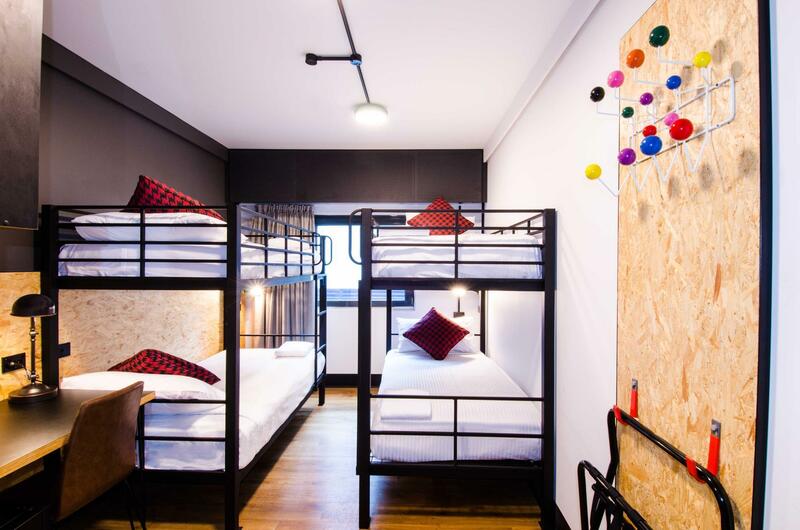 A budget hotel that addresses the basic need of a traveler. Clean bed, TV and shower. We have a family room with double bed and bunk bed. The kids absolutely loved the bunk bed so no biggie. There are a few parking lots along the small lane outside of the hotel. The entrance is not exactly on William St but behind the small lane parallel to William St, it is more convenient to load luggage. We were allocated the wrong room initially and upon reporting this to front desk, we were quickly moved to the right one. Room can be tight for a group of 4 with a lot of baggage however it kept us reasonably comfortable. 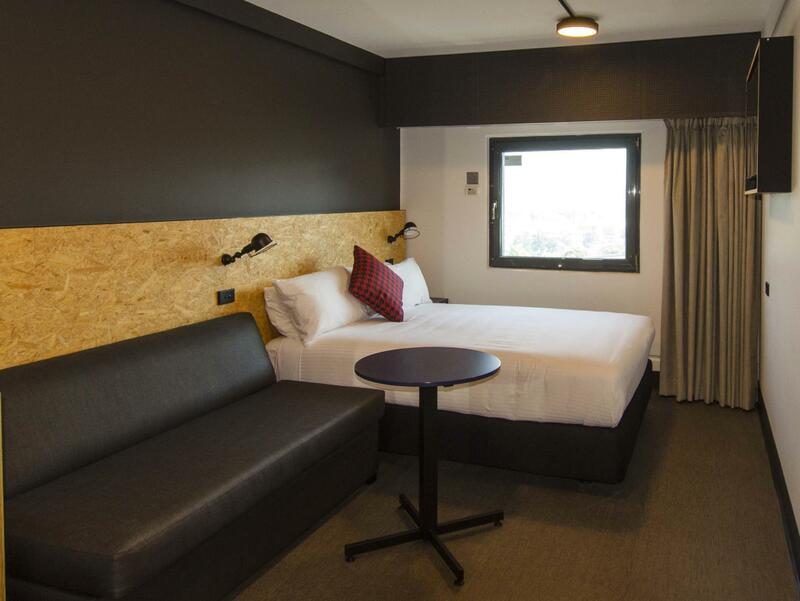 Location is ideal specially for going out within the King's Cross and Surry Hills area. Happy with our stay overall! The hotel has nice location since it is situated near the train station and a lot of restaurants and clubs near the area. The location has only negative impression among others coz it used to be an area that was usually chaotic before since its near to the clubs. But now its peaceful coz of the new regulations imposed. The hotel lobby is being renovated now. Expect nice improvements soon. They just lack the usual stuff u may need like the adapter and weighing scale. But its what you paid for since its a budget hotel. Just a place to sleep, near restos and transpo, within the city center. Located close to Kings Cross Station but note the walk is uphill if your not fit. Reception staff were casual and friendly. The bed was very comfortable. Rooms are sparsely furnished but have all the basics. Bathrooms are tiny as expected in a budget hotel. Water was hot. A/C was good. I got a great rate and for what I got, it was great value for money. Near To King Cross Station, Coles Market up the hill, lotsa of restaurant in the vicinity, walking distance to all the major attractions in Sydney. The hotel room is self sufficient and I can view Sydney Harbour Bridge from here. 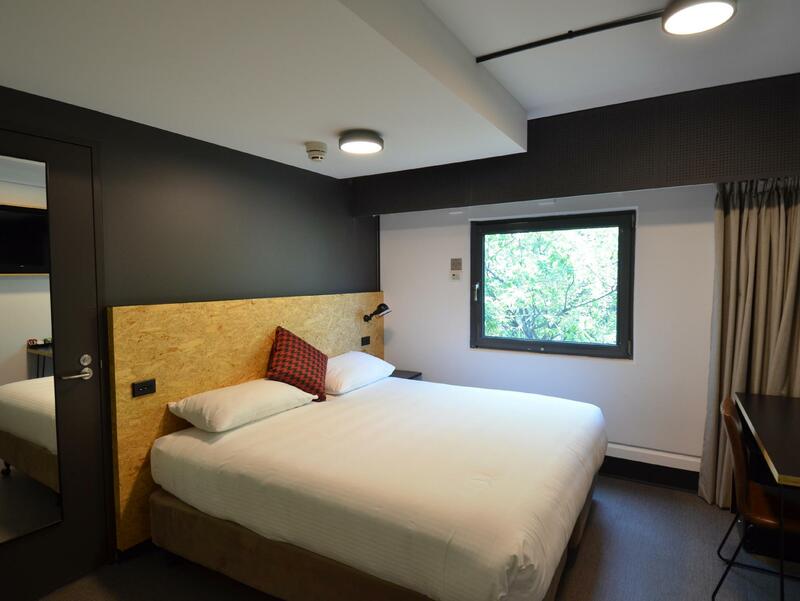 The hotel is just a 15min short walk from King Cross Station. Sydney people are very friendly and they will assist you if you appeared to have lost your way. There is a bus stop near the hotel that can bring you to most of the attractions in Sydney but you can choose to walk too. I got a MyMulti (Zone 1) at AUD$64 and this include a return airport transfer via the Airport Railway and a 7 days pass that can enable you to unlimitedly take any form of Sydney transports such as the bus, the railway, the tram and even the ferry only in the Zone 1 area! Just google to see the average cost for transportation in Sydney and you will feel that AUD$64 is really worthed it. Book the AUD$79 One Day Blue Mountain tour with the hotel too if you intend to leave the city to visit the outskirt for a short period of time. There is a Coles Market up the hill. You can get some wonderful cake and bread at there. The first day when we arrived, we realised our door wasn’t locked and could be open without the card. Informed the staff and they came up immediately to fix it. As unable to fix, they changed our room. Staff were friendly, comfy and clean beds and good value. Their wifi was good though they name themselves as Budget. Would like to thank the staff for their great service. Pros is no phone in the room to call them, so have to go to the desk to seek help. We come eraly just after 10 am , but the reception Indian lady is very nice and friendly, she lets us check in that time, we are very happy, and will come and stay here again , all the staff very helpful and very nice . relatively easy to get to the hotel. stay was unpleasant due to a family staying on the same level as us.. who allowed their kids to run along the corridor, shouting and laughing as early as 6am. Cons - toilet shower area did not have a curtain so after showering the whole toilet is wet! Also, the bed linens felt dirty as they made my hubby and my body itch and we had to apply cream to prevent getting bitten by bed bugs. Room wall was thin and we could hear the other guests walking and talking all night.